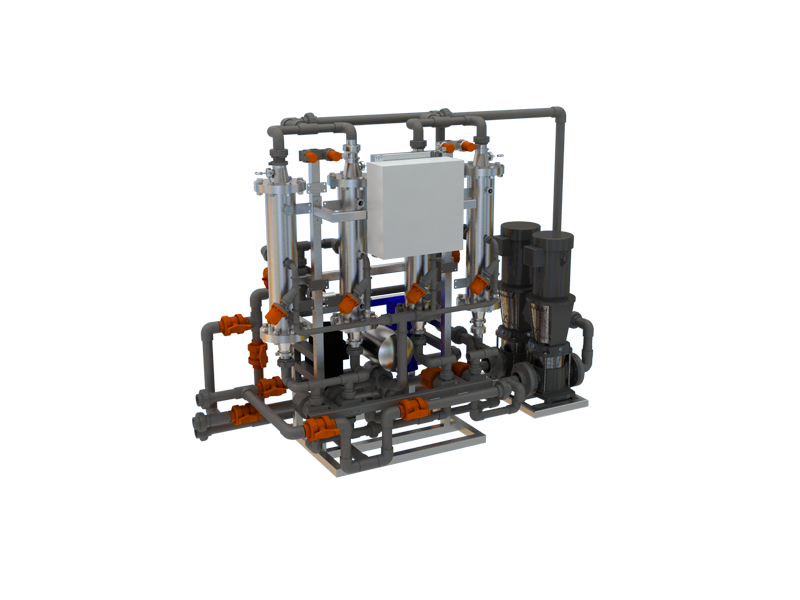 Compact and packaged water treatment plant. Movable, fully monitored and containerised. Delivered as a turn-key installation. Plant design using our standard components to match specific treatment needs. including: RO,UF, UV, GAC and Ozone. 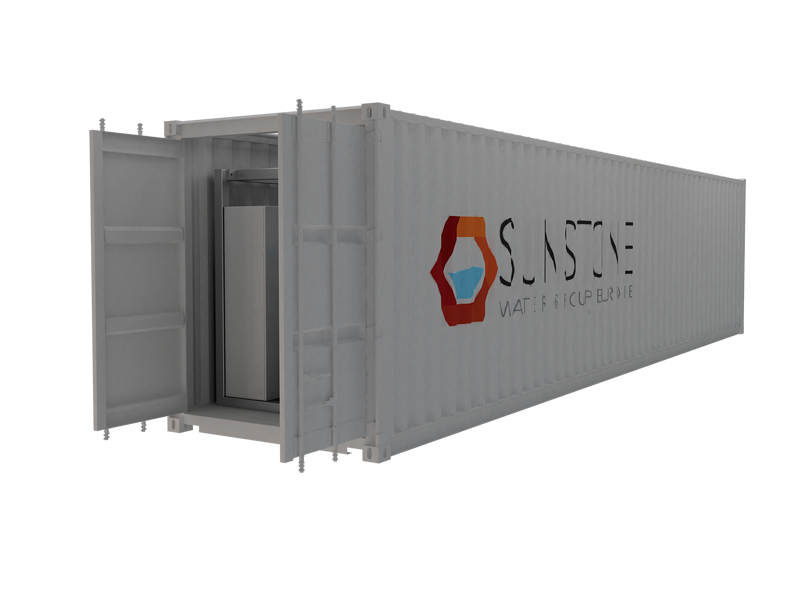 Sunstone Water Group’s design philosophy is decentralised water and wastewater purification, at the point source of pollution, by using state-of-the-art filtration techniques. The processes do not involve biological processes nor chemicals. The system removes bacteria, viruses, pesticides and salts. The end result is high quality water suitable as drinking water; our technology is ascertained by EPA for drinking water consumption. We can also adjust treatment qualities so the cleaned water can be reused for service purposes. The solution is therefore suitable, apart from drinking water, for industrial wastewater including process water, and Non-potable water. 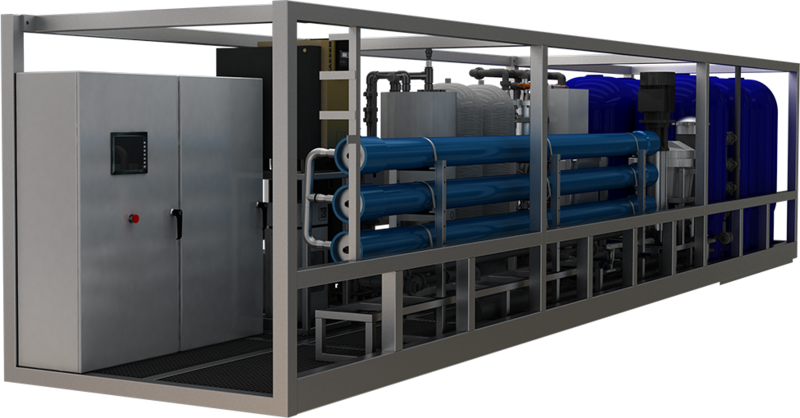 Our standardized solution is the Clean Water Unit (CWU) delivered in 40-foot patented container. Moreover, we are able to design and transport our components to match specific set-ups and foot-print restrictions. Decentralised water and wastewater purification provides both financial as well as environmental benefits for companies that consume substantial amounts of water. Production on both sides of the Atlantic and local sales and support team ensure access to competent consultancy nearby all customers.